Prevents potential sensor damage during maintenance. Prevents personal contact during heat cycle. 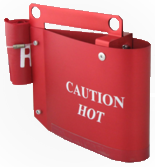 Flame resistant silicone rubber cushion liner prevents metal to metal contact. 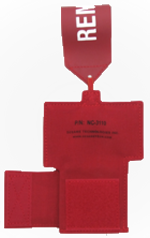 Fits most commercial, military and business aircraft. Flame retardant - (does not melt). Water repellent / Weather tolerant. Metal free - will not scratch probe.